She’s pretty and pink and just waiting to make someone BEARY happy! 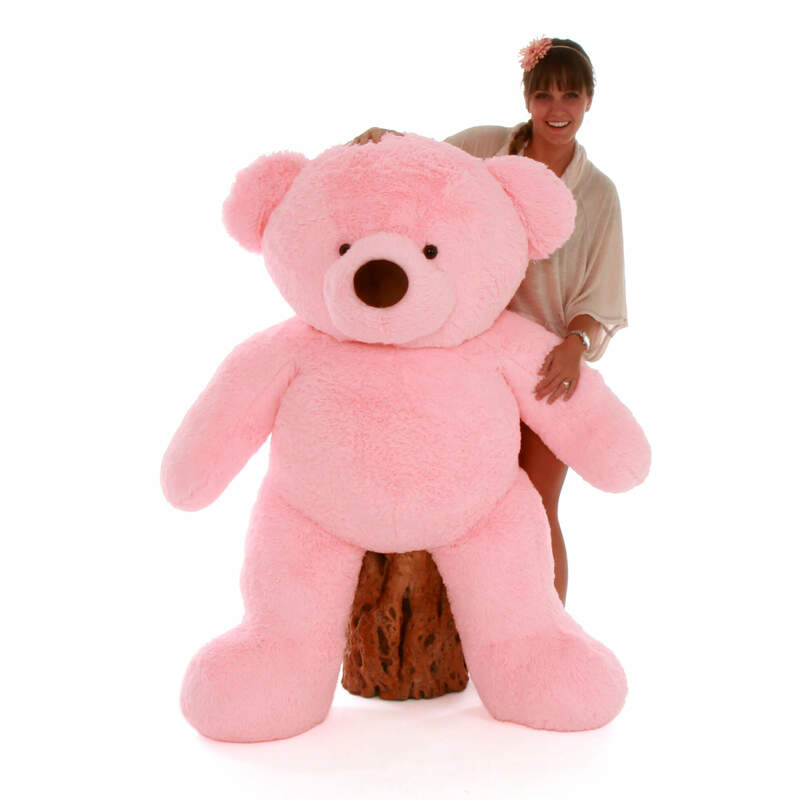 Our huge 60in (5ft) pink teddy bear Gigi Chubs is oversized in every way, with extra big teddy bear arms and legs, a giant head and big tubby tummy. Her light pink fur is super soft and huggable. She’s so sweet, with a soft brown nose, dark eyes, and even a cute little tail in back. All the girls (and guys too!) will love her, and a life size teddy bear gift is the perfect way to win hearts. big, soft, fluffy, and cuddly. This bear is as advertised and more. My daughter loves stuffed animals and all things pink and will love this for Xmas. Great product and customer service! its as Plush as it can get! My daughter LOVES it! It's of great quality and a perfect gift for anyone that loves stuffed bears! Thanks!